I'm so excited to introduce you to a young talent who is sure to knock your socks off! 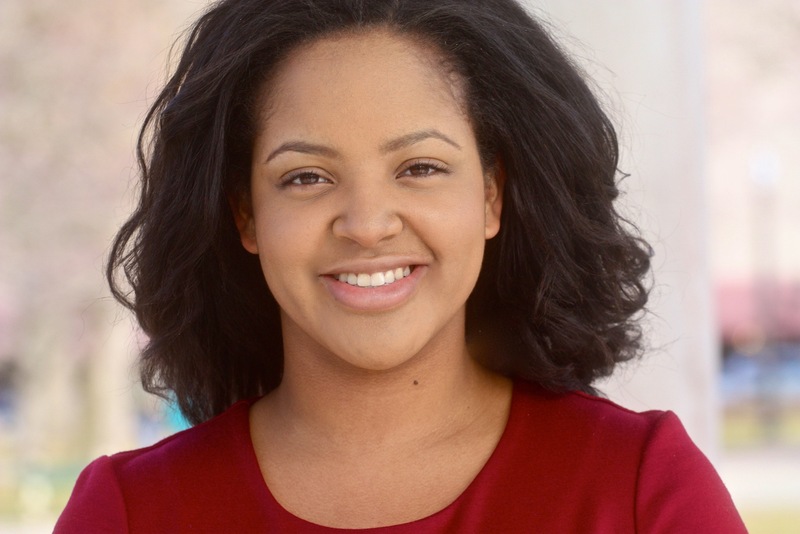 Miss Shanae Burch is a recent graduate of Emerson College and has hit the ground running auditioning and booking work like a mad woman. Already she is working on three separate projects (which you can learn about by visiting her facebook page). All while holding down a new job as an admissions counselor at Emerson. The time it takes to establish yourself as a working actor while working another job on the side is no joke. If you don't take it seriously, and make finding balance a priority one of the following three things will happen. You will either get sucked so far into your day job you will forget about your actual career goals. You will get fired from your day job because you will blow it off in order to pursue your career (which might not be paying very much at this point). You will become a crazy person that people see as irresponsible because you won't be able to keep up with your commitments and everyone will effectually become so annoyed that they won't want to work with you or even be your friend. Sound like balance might be a good idea? It's never too early to start working on finding balance! Jump in and enjoy Shanae's advice and let us know how you put it into action! Let us know how you are doing with finding and maintaining balance in the comments below. As performers, we’re passionate about so many things that time sort of takes us by surprise. I thought the best way to introduce myself as a contributor to this blog would be with my own personal goal of the year, so that we can find BALANCE together. 1. We have to learn how to say NO without fear (more than once). It’s hard to believe that we can say the word NO and the world won’t stop without looking down at us, but the rumors are true. Saying NO can be said politely and with grace! Saying NO can actually be healthy and quite positive. For example, mid-way through my junior year of college I realized that the responsibility of Class President was jeopardizing my ability to find my own personal free time to do more of the things I loved outside of the classroom– like theatre. After the upcoming season for my theatre troupe was announced and I was selected to be a member of my school’s Orientation Core Staff (eight students who plan the following Winter and Fall Orientation), I decided something had to give, so I resigned. It was made to be a highly publicized scandal in the school newspaper and the words I read about myself weren’t true, but the words I heard from my advisors, family, and friends made me feel stronger. Second semester of Junior year, I had the time (believe it or not) to be in one mainstage production of “Twilight, Los Angeles: 1992” and rehearse as Harper in Angels in America, in addition to costume design for “The Last Days of Judas Iscariot” and portray Saint Monica. It was one of my most fulfilling semesters, and at the end of the year, I was really happy I had made the decision to honor my intuition. We do not have to be super human, and people will understand! How will we ever learn how to say no? Read #2! 2. We have to prioritize and we HAVE to write it down! The name of the website has got it right! 3. Be prepared for the unknown by keeping your cool! Great! You have an audition. You followed all of the instructions and when you arrive, they ask for something you’ve already emailed or something else you just don’t have. Sound familiar? It’s happened to us all – for me? Just last week. Attitude is 10% of what happens to you and 90% how you react. Pursuing a passion within the arts calls for flexibility, and though physical poses in yoga help, I’m talking about patience and understanding – you know, chicken soup for the soul. If something doesn’t go your way or takes you by surprise, know that if a door is closed, there’s a window near by. I look forward to going on this journey towards BALANCE with you. We’re going to have fun! If you have any tips or stories about these three things, I’d love to hear them in the comments section below!